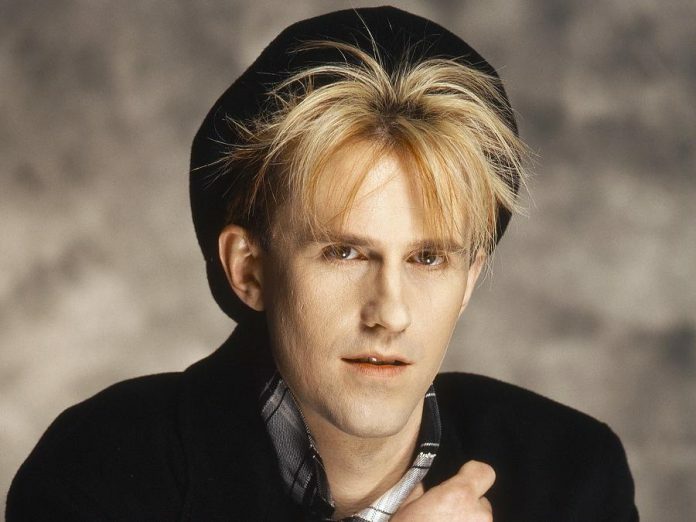 While numerous solo artists and bands rode the synthesizer-driven pop music sound of the 1980s to great success — recently Musicfest-departed A Flock of Seagulls among them — few have defined it like Howard Jones. 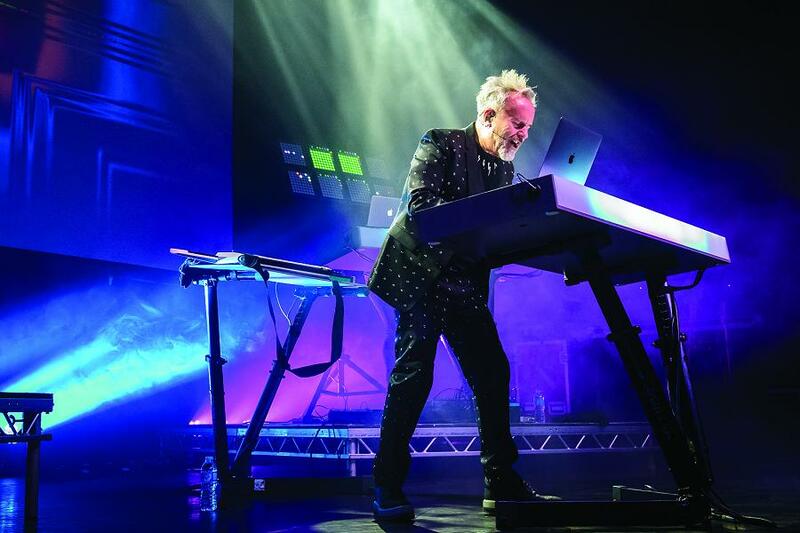 When: Saturday, July 14, 2018 at 8 p.m.
From the moment he burst onto the contemporary music scene in 1983, Jones was hailed as a pioneer of synth-pop and become one of the decade’s top-selling artists. Now, at age 63, the Southhampton, England native continues to influence a new generation of electronic and dance musicians. Still, it’s hit songs that the people want to hear and Jones will have that very well covered on Saturday, July 14th, when he performs with his electric band at Del Crary Park as Peterborough Musicfest’s 32nd season continues. Admission to the 8 p.m. concert is free. The eldest of four boys, Jones started piano lessons at age seven and never looked back. When he was a teenager, his family relocated to Canada which is where he joined his first band, a progressive rock group called Warrior. Eventually, he moved back to England where he played in a number of different groups in the 1970s before he began performing as a solo artist with synthesizers and drum machines. In 1983, signed by Warner, Jones’ debut single “New Song” was a big hit, reaching number three on the British music charts and then zoomed into the Top 30 in the United States. It was included on his debut album Human’s Lib which was certified gold and platinum in several countries on the strength of additional hit singles “What Is Love?”, “Pearl In The Shell”, and “Hide And Seek”. Eleven studio albums followed for Jones, the latest being Engage in 2015. In all, he had 10 top 40 hit singles in the UK between 1983 and 1986, including six which reached the top 10, as well as 15 top 40 hit singles internationally between 1983 and 1992. In a 2017 interview with www.modernsynthpop.com, Jones explains how his music was influenced by the 1970s English progressive rock supergroup Emerson, Lake & Palmer. “I’ve looked up to Keith Emerson since he was with The Nice, playing his Hammond L-100,” he says. “He was classically trained, as I was. He would take great classical music and give it a rock feel. You know, he was a keyboard front man, which is very unusual. Something like Jimi Hendrix, but with keyboards. With total album sales in excess of eight million — a milestone achieved with the help of a string of hit singles including “Like To Get To Know You Well”, “No One Is To Blame”, “Life In One Day”, “Things Can Only Get Better”, and “Look Mama” — Jones was, and remains, a favourite for a legion of loyal fans worldwide. His still memorable July 1985 Live Aid performance of “Hide And Seek” at Wembley Stadium only helped strengthened that following. “I always thought that music was such a powerful thing,” Jones says. “”In a way, you have a direct route to the hearts of your listeners. Because I was aware of that, and how much music deeply affected me in my life, I wanted my music to really count. I wanted it to really reach people at a deep level. Pushing the envelope musically has been at the heart of Jones’ success since day one. “When I started, I wanted to do something different, using the technology of the day,” he says. “I found myself in a position where all of this new technology was exploding. You could go down to your local music store and buy some of it. I really wanted to use these new instruments and to use them in new ways. Described by AllMusic editor Stephen Thomas Erlewine as “one of the defining figures of mid 1980s synth pop,” Jones has made it his mission to be a role model for music artists and he has some advice for those following in his footsteps. “If you’re a young artist, it’s really important to try to do something new,” he says. “Draw influences from your heroes but don’t do the same thing as them. Break out on your own and show us something new. That’s one of the great things about young people. They’ve got a new vision. They don’t want to play by the rules. Anyone who’s trying to innovate, who’s trying things and breaking things, I’m right behind them.